To what extent are companies justified in claiming that they are good ‘corporate citizens’? The good corporate citizens are those companies who are always committed to the procedures, global policies and practices. There corporate citizenship is reflected by the extent to which they are socially accountable in the way of meeting the legal, ethical, and economic policies that have been framed by the shareholders as well as the stakeholders. The basic aim of the organizations should be to improve higher living standards and a quality of life in the environment in which they operate. If the firms are performing specific virtuous (Charitable) acts (no matter in large number or small) then they will become popular in no time. On the other hand, if the firms are adopting all the social and ethical acts. Hence, overall if the companies are good corporate citizens, then they will get more benefits than expected. However, as known to everyone, the main motive of the company is to earn profit and in order to achieve this objective, then companies usually forego the other social responsibilities. If we compare two companies that are adopting social responsibilities along with earning profits on the one hand and the company earning only profit on the other hand. While making the comparison, we can see that the company who is adopting social responsibility is more profitable than the other one. The reason being that the customers are more loyal to that company which is fulfilling its social responsibility. By adopting social responsibilities, the companies will become popular in the eyes of its customers which will result in the building of a more loyal customer base for the company which will ultimately result in better earning (DeBoskey, 2014). The other advantage is that if the companies are fulfilling their social responsibilities, they will not have to face any interference of the government and resistance from the individuals and stakeholders. Various regulations of fulfilling the social responsibilities of the company have been framed by the government of every nation. As per the regulations, various responsibilities have been set up by the government. These responsibilities include them, providing the stakeholders with all the necessary rights and definite status to them. Further, by adopting virtuous activities, the companies will be recognized as good citizens. Then the company should work with the virtuous acts such as by doing charity, by organizing, self help groups, providing the stakeholders with several benefits, should frequently donate to different NGOs, they should pledge that 1% of their profit will be given to charity, provide the workers with several retirement benefits and the rights as well as responsibilities. If the companies are abiding various sets of rules and regulations framed by the government and working in the direction of providing virtuous activities and social as well ethical acts in the business organizations along with the offering of painless charity, then for sure they will be termed as a good corporate citizen. However, it will be misleading to say that only the virtuous acts will be enough to term the corporations as good citizens. The above mentioned recommendation will definitely help to build an image of the company as good corporate citizens. Griseri and Seppala (2010) outline four approaches for addressing environmental issues. Describe three of them and critically discuss what responsibility each approach places on businesses, governments and individuals. The natural environment is the place in which we live. It is our duty to safeguard the interests of the environment. Environmental ethics reflect the relationship of the ethical behavior of human beings with the natural environment (Loh). These ethics describe the responsibilities of the human beings (Business, government and individuals) towards the environment in which we live. There are 4 approaches to environmental issues that have been highlighted by Griseri and Seppala (2010) in his book out of which we are going to discuss 3 of them. Deep Green Approach: in this approach, the environment or the nature is viewed as a whole. The human beings occupy various positions while operating in the environment. In this approach, the right tools are found in the humans so that they could live a sustainable lifestyle (EarthyCynic, 2012). Light Green: in this approach the role and the responsibilities of the individuals rather than the society is analyzed. By bringing incremental changes, the environmental damage can be reduced. Bright Green: with the improvement in technology, design and social organization would result in resolving the existing problems in the environment. Everything in this world operates on the principle of “Give and take” If the individuals, society, organization and government together will work to the benefit of the environment, then for sure the environment will also provide them good working conditions (Minteer). For instance, if the organizations do not emit gases in the air before any prior treatment, then it is pretty obvious that the humans who are operating within the organization will be provided with a clean and healthy environment with fresh and clean air. If the environmental ethics are properly adopted, then it is likely that the organizations and the stakeholders will be able to achieve sustainable development. The sustainable development will help in improving the future conditions for the stakeholders as well as the organizations. As mentioned above, if the organizations properly comply with the ethics of the environment, then they will be able to bring in more profit, it will help in the building of the image the image of the organization in the eyes of the customers. In view of the society and the individuals, it will provide them a good working environment with proper efficiency and effectiveness. It is the corporate social responsibility of the organizations and the stakeholders to adopt the necessary environmental ethics in their operations. They have to work in such a way that the environmental causes can be reduced. Necessary steps should be taken to reduce; Noise, water, air, land pollution, which will ultimately benefit the organization and the nature as a whole. It is the social responsibility of all the individuals and the stakeholders to work in accordance with the environment. If during their operations, the individuals, society, government, and the business firms think about the environment along with the operations, it is likely that they will not face any issues and obligations from any other individual. Thus, it is important for everyone to adopt such measures that will help in resolving the environmental issues. Norman, W. (2007). Do We Really Want Businesses to be Good Corporate Citizens? United Kingdom: Society for Business Ethics. 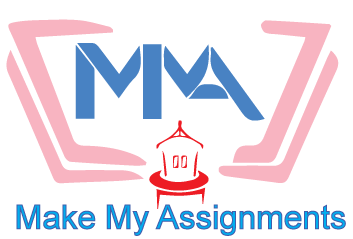 For Business Management Assignment Help or Management Assignment Help, visit www.makemyassignments.com.